Your children will love this free letter to Santa printable! Whether you are a teacher or a parent, you can print out and use this letter to Santa for free! Teachers can use this friendly letter to Santa during writers’ workshop or parents can let their children write a letter to Santa at home. Knowing the children’s family traditions is important. Referring to the Family Tree (which can be completed at the beginning of the year) can help determine the students able to do this assignment. For students who do not celebrate Christmas, or as another activity, here is a Friendly Letter to Frosty the Snowman. Ask each student to write a friendly letter to Santa. Do not explain or show the students the proper format yet. If you have in the past, assess their retention and let the students write the letter by memory. Remove any helpful posters you had which they had been referring to. It’s important that they know they are not being “tested”. Just explain this will help you determine what they actually need to know before you design your instruction. When the letters are completed and students are dismissed, review the friendly letters to check for accuracy. Use their letters as a guide to your instruction and keep all the letters for your files. After you complete instruction, you can show the students and parents exactly what the students learned! Check for proper placement (indentation) of the following for each student, and keep it in the student’s file. Does the student need more help with proofreading, such as spelling, grammar, capital letters, punctuation, run-on sentences or sentences that are cut short? •Decide on small group or large group instruction. After reviewing each student’s prior knowledge, you can determine your instruction. It’s helpful to make notes regarding areas of specific need for each student. •Read aloud a Christmas story about Santa, such as The Life and Adventures of Santa Claus. •Decide if you would like to split the students into small groups and/or instruct as a large group. Create your own letter in front of the students (either as a large group or in small groups). •Give each student a Friendly Letter to Santa Claus template. •Students work independently or in small groups as they write. •Separate into small groups for peer proofreading. •Students complete letters for teacher review. •Teacher helps with any revisions. •Students make any needed additional revisions. Santa Wrote Me A Letter Back! Imagine how excited your child would be to get a letter back! I can e-mail you a letter from Santa for your children. You can print it on your home computer, stuff it in their stockings or leave it on the empty plate of cookies. Here’s more about the personalized Letter from Santa for your child. Here’s a teacher who taught her students to sing a letter writing song. The words for her friendly letter formatting is a bit different than ours, but it’s a great idea. Maybe your students could wear Santa hats and sing the letter writing song? Here’s a life cycle of a pumpkin mini book, My Little Seed: What plant will it be? If it’s still appropriate learning, have the students read the My Little Seed: What plant will it be? book with you. 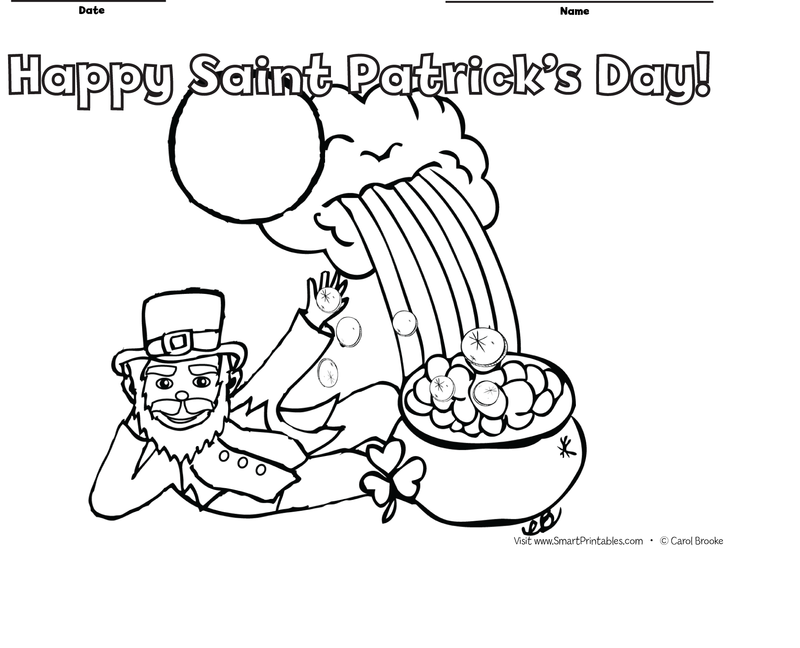 Depending upon the needs of your children, you can differentiate this art, writing and reading activity. You will find notes about this next to each part of the activity. As you do the activity yourself, you can think about the needs of your students. You can have each student make one ghost (splitting the children into groups of 6), or you can have each child make an entire set. It just depends on what your child’s needs are. 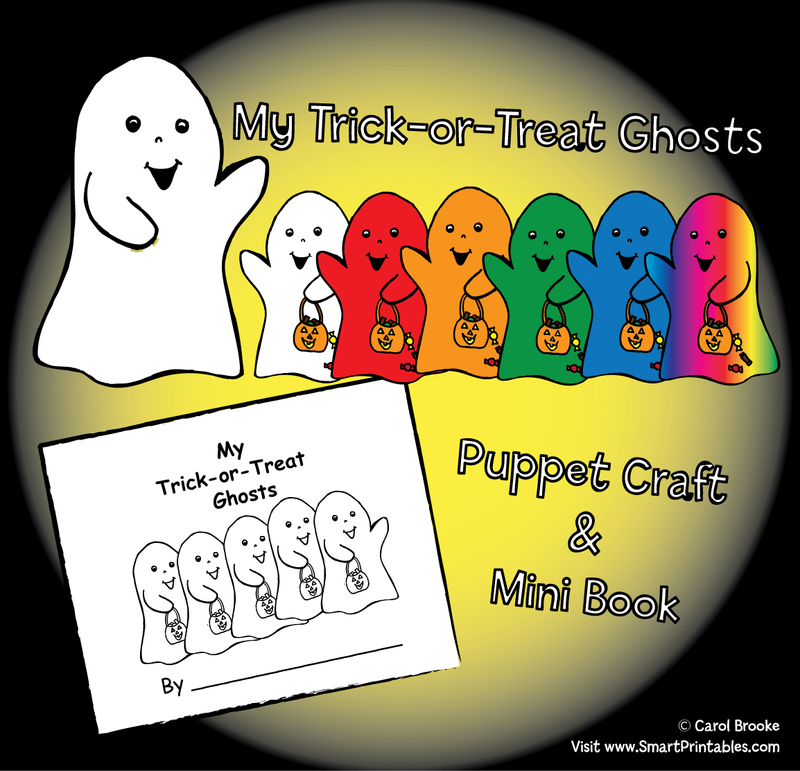 Preschool children may only have time to make one ghost, unless you copy the ghosts onto colored paper and/or cut out the ghosts for them ahead of time. (You can either use the ghost template and print the ghosts onto the colored construction paper (or use color ink) from your computer, or make your own ghost design and cut ghost shapes onto colored construction paper.) So, for a preschool child, I’d recommend either doing that or have the child choose their favorite food/color and make one ghost. Then, the children can act out the story as a group. Read and fill in the colors for each ghost. (e.g. “I give him a strawberry. He turns red.” The student colors the ghost red. Other ideas for colors/foods are: orange/orange, green/cucumber, blue/blueberry, rainbow/rainbow sherbet.) The mom ghost stays white. After the book is complete, the students color the puppets to match the book. Color the ghost puppets to match the colors of the ghosts in the book. Students read the book and act out the story. Draw, color and cut out each food , so your puppet can pretend to eat it (like the glasses of milk). Write the name of each food on the page of the story. A group of students can act out the story together, either with the puppets or in different colored sheets made to look like ghost costumes.